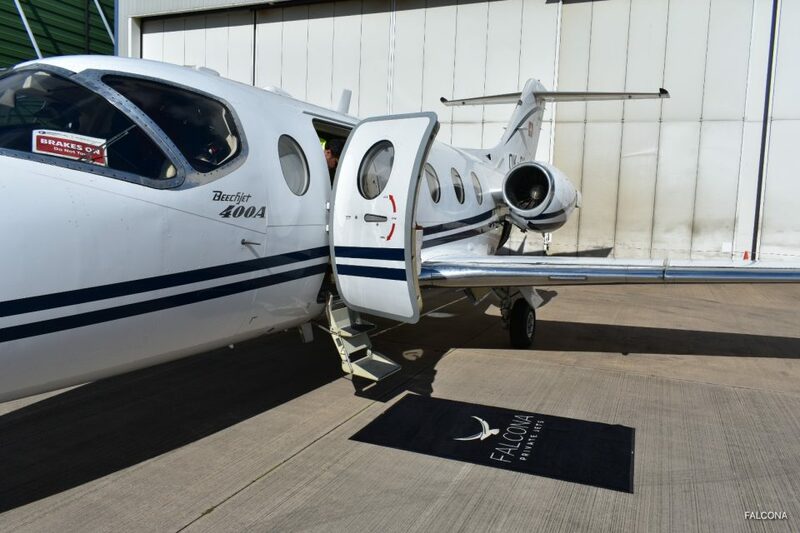 Falcona received an email from the clients, for a private jet charter flight from Manchester to Malaga, Spain. It was for three couples who had previously flown with Falcona. 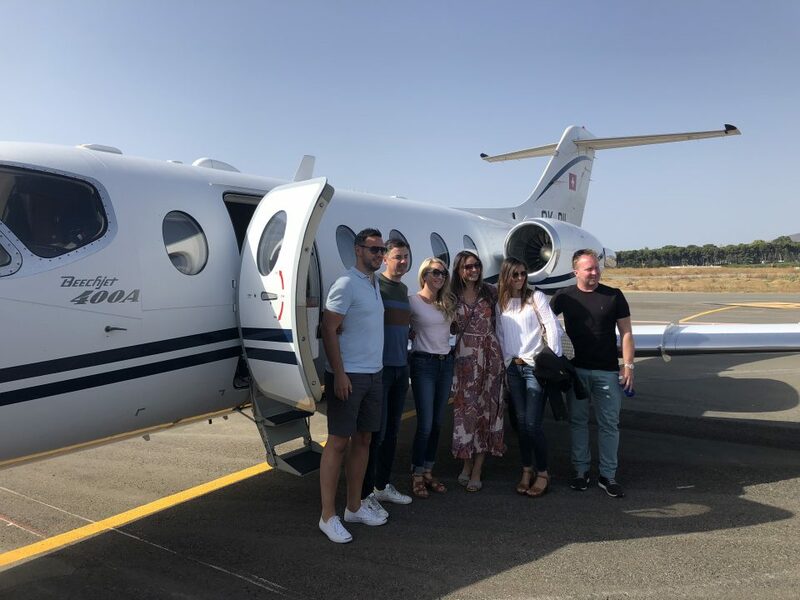 All the passengers were adults, travelling to Malaga, so we sourced an aircraft that would be suitable for all of them and the luggage, whilst being cost-effective. Sourcing an aircraft as a broker means that we perform due diligence at all times to ensure that our clients get the safest and best aircraft for their flight. We send our three quotes, different types of aircraft, varied price range that would be able to do the flight non-stop. Choice one was a Citation Bravo, Beechjet 400A and a Phenom 300. Our clients decided to choose the Beeechjet 400A. 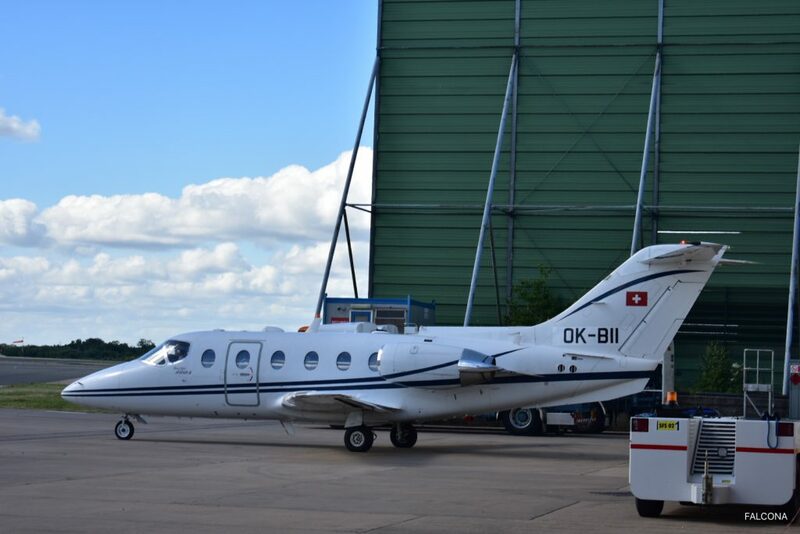 The aircraft arrived from Switzerland on the day of the flight, arriving an hour before departure. Falcona were here to meet the pilots and speak to them about the flight and the clients. 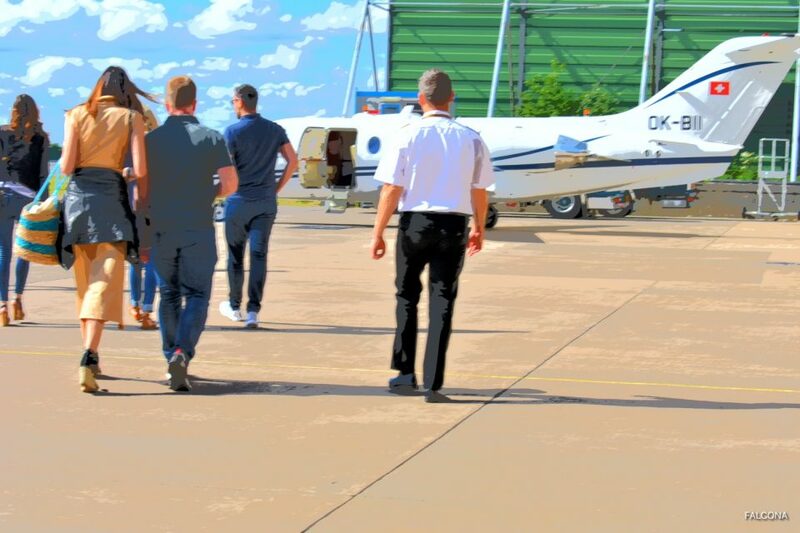 The clients arrived at the private FBO terminal, where they were greeted by a member of the handling agent staff, who directed them to the passenger lounge. Clients had booked a chauffeur car to the terminal so they arrived on time, fifteen minutes prior to their departure. 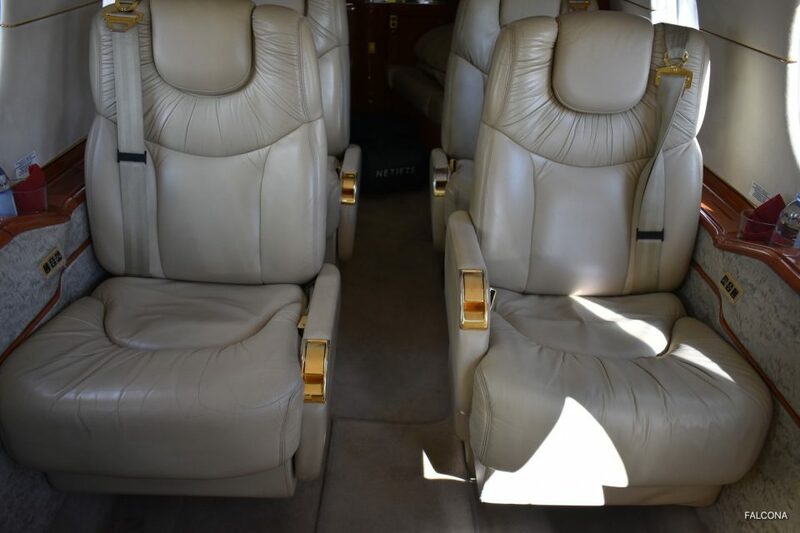 For six adults travelling short distances the Beechjet 400A is a great choice of aircraft. Good cabin space to make the journey enjoyable. The main issue with flying on small aircraft such as the Beechjet 400A is luggage space. Therefore we made sure that clients were aware of this and recommended that they brought small soft bags that would fit into the hold. We often see passengers having to leave luggage behind or placed in the small toilet if their broker has not told them that the hold won’t fit large cases etc. 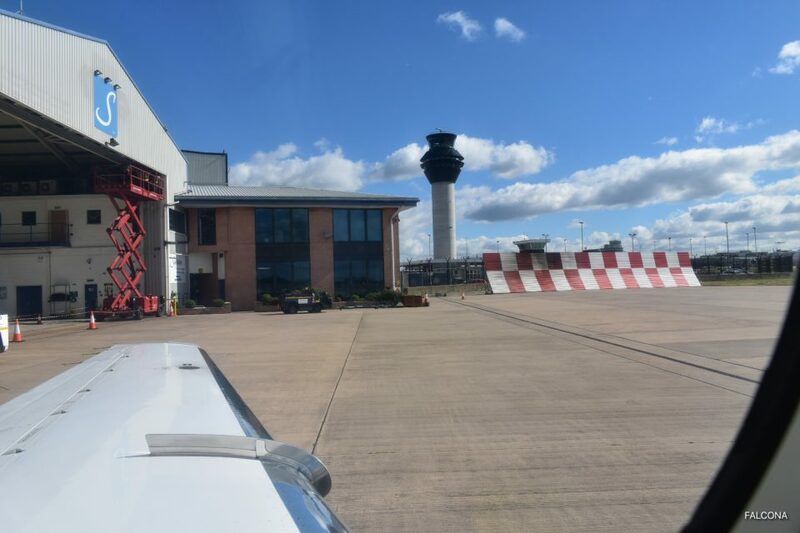 The flight from Manchester to Malaga was direct, however for this aircraft range it was borderline, meaning that a fuel stop would have been needed if the weather had not have been so good. Our passengers catering for the flight was ham and cheese platter, canapes and fruit. We also ordered three bottles of Laurent Perrier rose and extra lagers for the flight. The flight time from Manchester to Malaga was two hours forty minutes. Once they had landed a call was made to the handling agents in Malaga, to make sure the clients landed safely and their transport was there waiting to take them to the hotel. The Beechjet 400A is a high performance light executive jet that offers excellent value and comfort for up to 7 passengers. The cabin, has seven individual seats. At speeds of 820 km/hour, it definitely gets you wherever you need to be in record time. All you have to do is sit back and enjoy your flight. 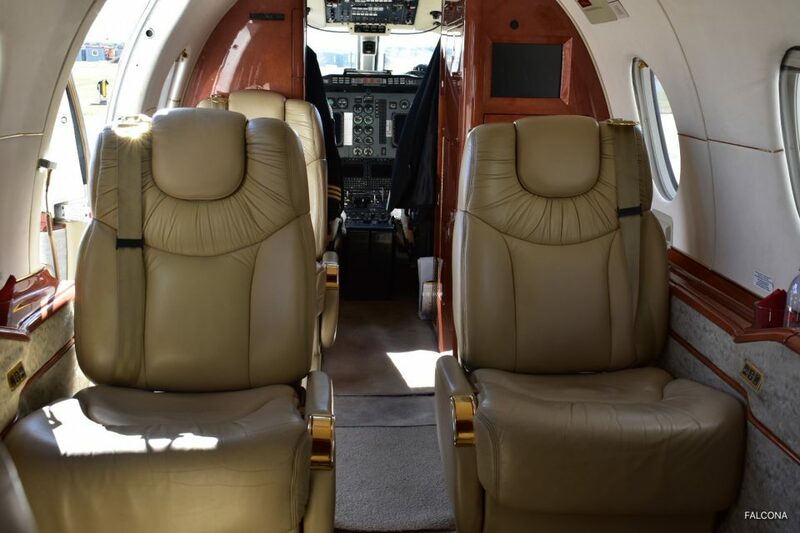 The aircraft is perfect for both business and leisure travel, balancing convenience and efficiency providing access to smaller airports closer to your final destination. The major business centres of Paris, Frankfurt & Geneva are all within easy reach of Manchester. One of the passengers was American, so we organised for Customs & Immigration to come over from the main airport terminal to check the documents. Once the immigration officer had given the passengers were allowed to get into their cars outside and depart. The feedback from our client was that they enjoyed the flight and the pilots were fantastic. Thanks. 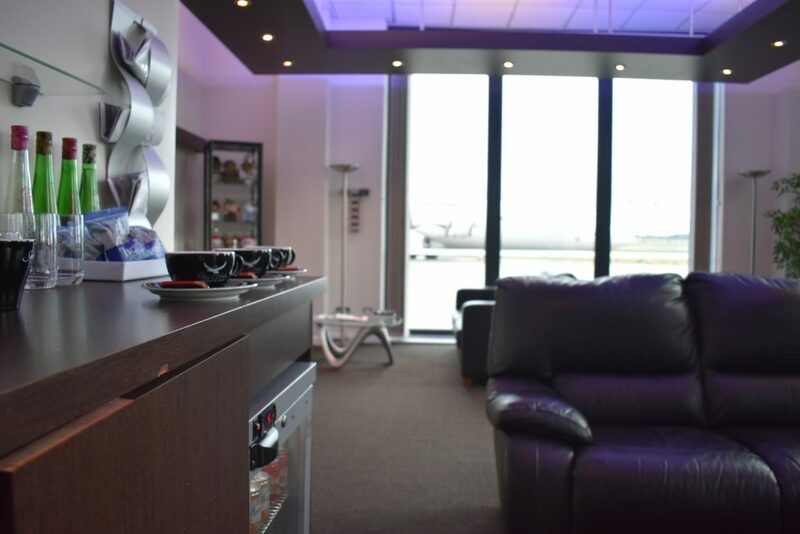 Falcona Private Jets has been based at the only dedicated FBO jet centre in Manchester since 2014, with its own VIP private passenger terminal, which enables us to meet our clients on arrival, ensuring that all our charter flights run smoothly as possible. So if you’re thinking about flying to Malaga, Spain for your summer holiday, let Falcona organise your next trip.